Late sending out your Christmas cards? Tired of posing in front of your living room fire place? We get it. So we’ve compiled a list of the best places to take your holiday photos in Dublin. Thanks to email and social media, you still have time to send holiday greetings AND choose the perfect Instagram filter (although you shouldn’t need one for these 5 awesome locations). So put those reindeer antlers on your pet, grab your best Christmas sweater and get ready to snap some “Like”-worthy holiday pictures. Historic Dublin – Stroll through the streets of Historic Dublin, decorated with tons of holiday décor from wreaths to giant snowflake lights. 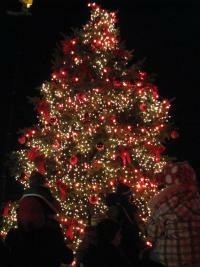 There are even 8 Christmas trees to greet you on the corner of High and Bridge Streets. It’s hard not to feel Christmas cheer when it’s all around you. Just find your perfect spot, aim, and shoot! 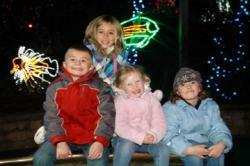 Wildlights at the Columbus Zoo – Light up your loved ones’ holidays by posing in front of 3 million twinkling lights. There are plenty more photo ops with the two animated light shows, carousel, giant snow globe, ice rink, camel rides, and Polar Bear Express. You’ll definitely want to remember to charge your camera’s battery before heading here! 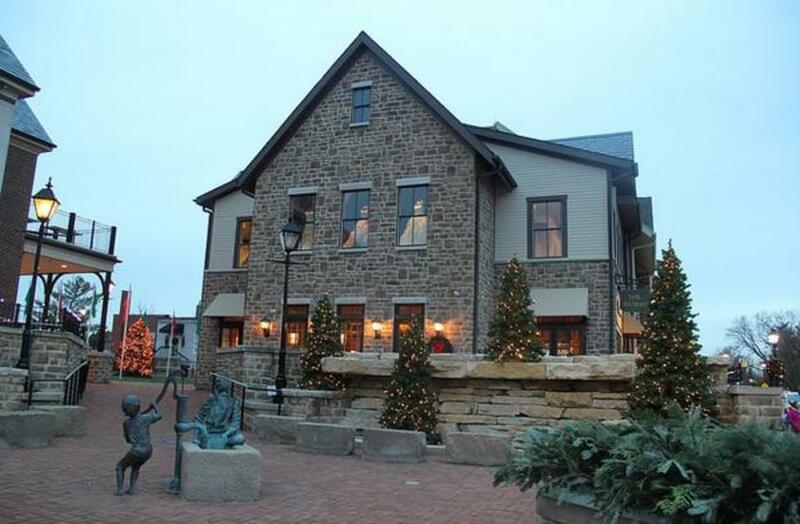 Irish is an Attitude Golf Ball – Escape from the cold and stop in our Visitor’s Center located in Historic Dublin. 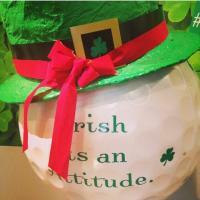 The massive golf ball is decked out with both Irish attitude and holiday cheer. After you take your pic, check out some of the brochures on fun things to do in Dublin! Art in Public Places – Choose from over 70 different sculptural works scattered throughout Dublin. 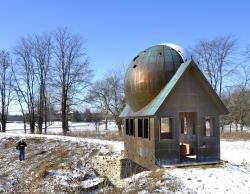 Personally, we recommend one of the large-scale elements such as Field of Corn or the Watch House. All of the art and sculptures are unique to Dublin, so you’re sure to have a one-of-a-kind image. Dublin’s Christmas tree – It’s just not Christmas without a Christmas tree. So it doesn’t get much better than a 25-foot one decked out in lights, ornaments, bows and more! The lights turn on around 6 pm, but it’s just as beautiful during the day! It’s the perfect spot to snap some holiday photos. The tree is located next to Indian Run Elementary, just west of Historic Dublin.